Pennsylvania-born artist Benjamin West began his career stateside, but it was across the Atlantic, in England, where he found fame, as a court painter to George III and as a founder, and later president, of the Royal Academy of Arts in London. Though he never returned to the United States, West’s influence loomed large at home as a teacher to three generations of American painters in his London studio, and then as the first honorary academician of the Pennsylvania Academy of the Fine Arts in Philadelphia. Now, in celebration of the 250th anniversary of the Royal Academy’s founding, PAFA has organized a homecoming of sorts for West—an exhibition of more than sixty works, including paintings, drawings, sculptures, and manuscripts, that examines the critical role he played in establishing the two academies. 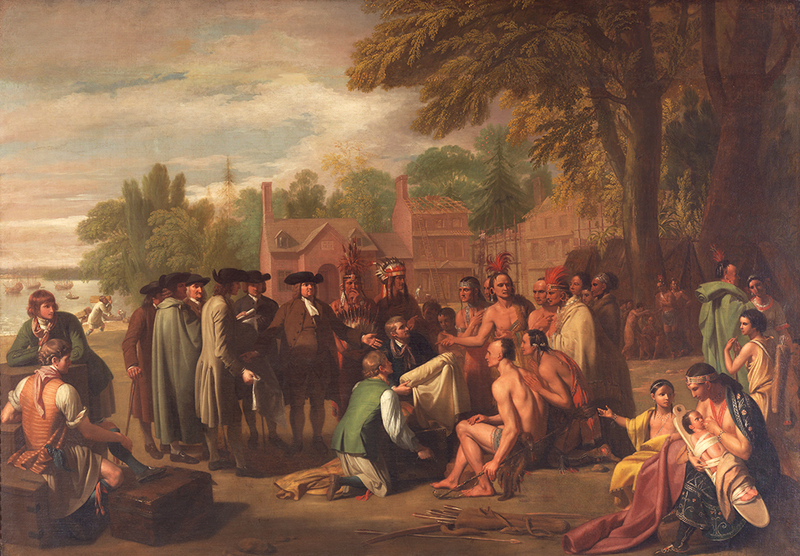 Penn’s Treaty with the Indians by Benjamin West, c. 1771–1772. Pennsylvania Academy of the Fine Arts, gift of Mrs. Sarah Harrison, the Joseph Harrison Jr. Collection, 1878. 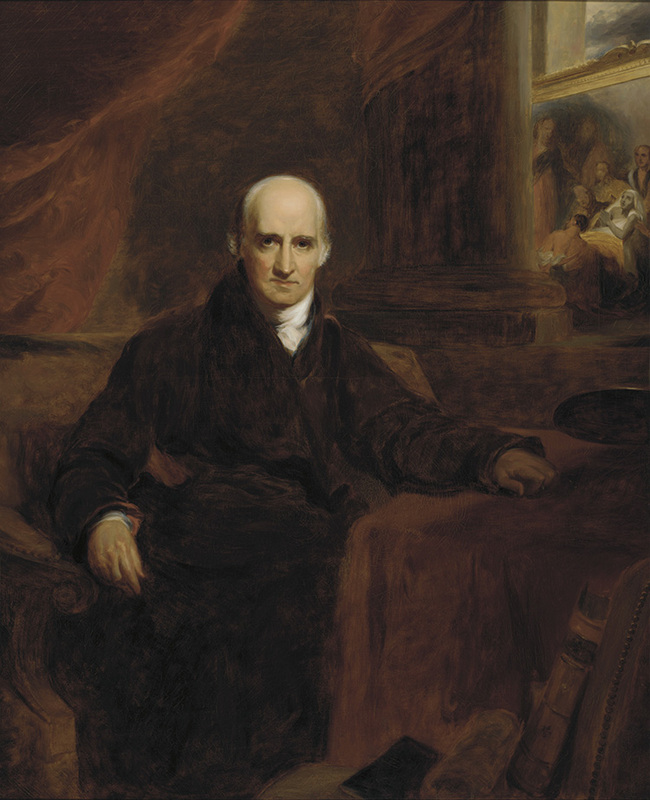 Benjamin West by Thomas Sully (after Charles R. Leslie, after Sir Thomas Lawrence, c. 1820), 1864. Pennsylvania Academy purchase, 1864. The exhibition demonstrates the symbiotic relationship between the two academies and of West’s profound impact on eighteenth- and nineteenth-century American painters by including works by Gilbert Stuart, the Peales, William Rush, and others. But West’s reach is perhaps best illustrated through his portrait by Thomas Sully. West stares determinedly at the viewer, as if studying someone for one of his own portraits, while a classical fluted column, a symbol of antiquity—and figures from West’s own painting Christ Healing the Sick—peek out from the background.